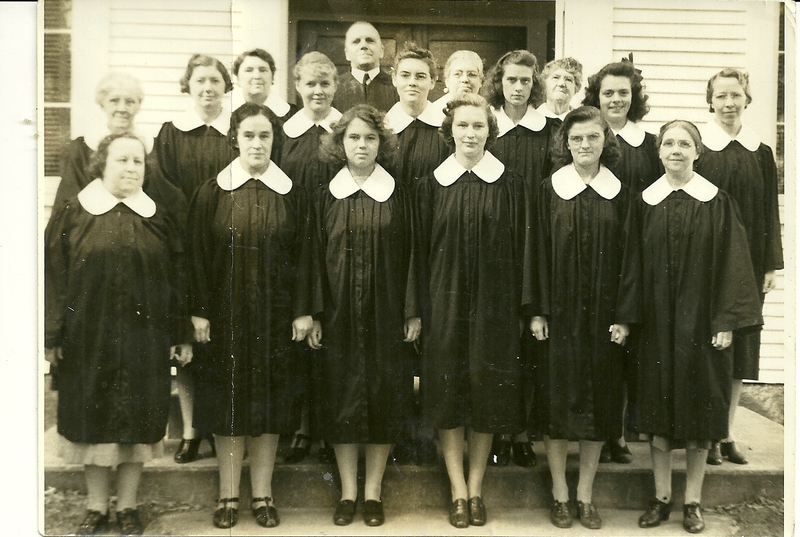 1941 Photograph of the Cornish Federated Church Choir, Cornish, Maine. 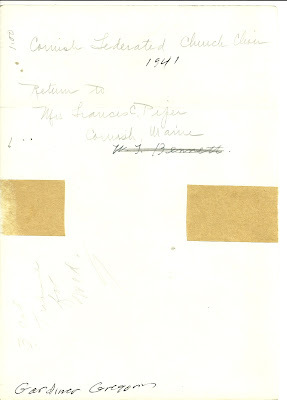 No individual identifications given, but perhaps a reader will come forth with one or more. 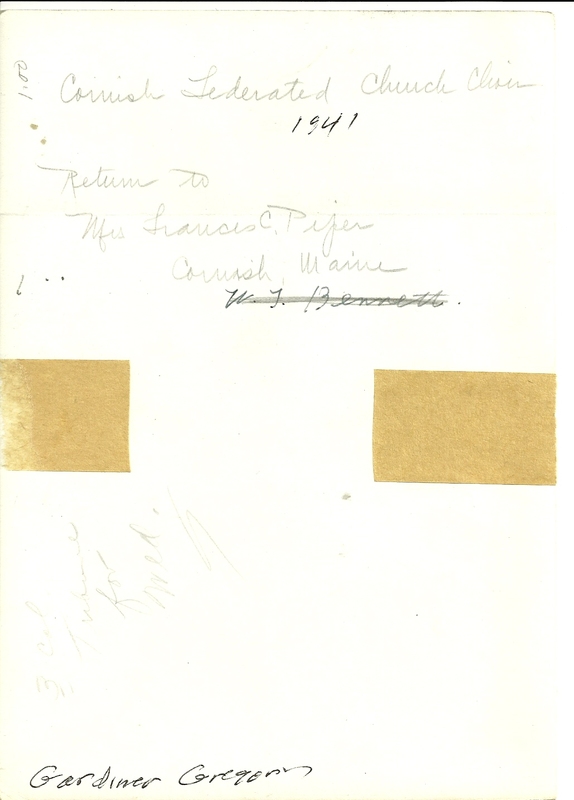 Handwriting on back shows two names: Mrs. Frances C. Piper and Gardiner Gregory, though I don't know if either of them is actually in the photograph. Again, if you recognize one or more of the choir members, please make a comment in the comments box or contact me directly.